Shortlisted for the 2008 Costa Children’s Book Award. Costa Book Awards 2008 Judges' comment: "A poignant story of a family coming to terms with a terrible loss." Rowan is sure that she didn’t drop the negative that a boy presses into her hands but when her friend Bee offers to print it, Rowan’s curiosity causes her to accept. Who was the boy? And what will the picture show? 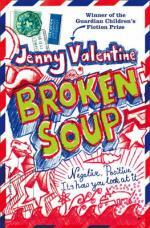 Prize winning jenny Valentine has written another thought provoking story in which a teenage unpicks a difficult part of her life. From the same author who wrote Finding Violet Park. Other titles shortlisted for the prestigious 2008 Costa Children's Book Award (formerly the Whitbread Award) are The Carbon Diaries, Just Henry and Ostrich Boys. The winner of the award will be announced on Tuesday 6th January. An intriguing, compelling and moving new novel from the award-winning author of Finding Violet Park. When the good-looking boy with the American accent presses the dropped negative into Rowan's hand, she's sure it's all a big mistake. But next moment he's gone, lost in the crowd of bustling shoppers. And she can't afford to lose her place in the checkout queue, after all, if she doesn't take the groceries home, nobody else will. Rowan has more responsibilities than most girls her age. These days, she pretty much looks after her little sister single-handedly, which doesn't leave much time for friends or fun. So when she finds out that Bee from school saw the whole thing, it piques her curiosity. Who was the boy? Why was he so insistent that the negative belonged to Rowan? 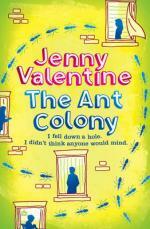 Jenny Valentine moved house every two years when she was growing up. She has just moved house again, probably not for the last time. She worked in a wholefood shop in Primrose Hill for fifteen years where she met many extraordinary people and sold more organic loaves than there are words in her first novel. She has also worked as a teaching assistant and a jewellery maker. She studied English Literature at Goldsmiths College, which almost put her off reading but not quite. Jenny is married to a singer/songwriter and has two children.